The last paragraph in RisingStars’ story: the Dota 2 ACE weibo announced yesterday that RStars has officially left the ACE Alliance. The club’s closure was described as being due to running at a financial loss for the entire lifespan of the project. At the end, according to the Dota ACE Alliance, the club satisfactorily paid all fees, salaries, and bonuses due to its players, and paid an additional month’s salary as well. As of now, the club is no longer part of the Dota 2 ACE Alliance (and we would assume, no longer actively operating). Since RisingStars has seen poor performances all around in the post-TI3 Dota 2 landscape, it’s no surprise that the investment in the team never paid off for the investor(s), and the club was running at a long-term loss. Dotaland note: Even though RStars’ demise is unfortunate, its owner and founder was a young (and probably well-off) Dota fan that only meant the best. Kudos must be given regarding how the closure of the club was handled with respect to following regulations and settling contracts. This post-match interview came after RisingStars and LGD.cn fought out to a 1-1 draw in the WPC-ACE League 2013. Former LGD carry, current RStars player Sylar, and LGD captain xiao8 were the ones chosen for the interview… An interesting choice, given the way Sylar departed from LGD. The last we heard of DT*club, who once placed third at ACE League in 2012, was that some of their former members would be part of the then-new team RisingStars in early 2013. Now, DreamyU, known as a high level pub player and on and off involved in the Chinese pro scene, has shared that they have enough old DT*club players playing together that they wish to re-form the team and looking for sponsors. Along with DreamyU, it is fair to assume that former RStars players Air and Super are involved as well, as they were DT*club players prior to joining up with (and subsequently leaving) RStars. Anyone interested should contact the team via QQ: 365880588, or can contact me at Dotaland through the usual means and I can get in touch with the prospective team. According to this report from Replays.net, this is how transfers have been standardized under the ACE Alliance in Chinese Dota 2. The latter half of the article reveals the transfer fees and related details of some of this year’s biggest moves. 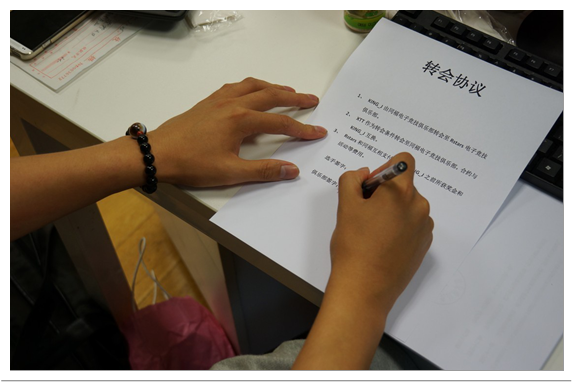 If Team B wishes to buy Team A’s player C, then B must first approach A and confirm whether the player is available for transfer. If A agrees, only then is B allowed to approach the player C. If player C is open and willing, then Team B can lay out their transfer conditions and offer. If player C does not agree to these terms, then he will remain at his current club; if player C agrees, then all three parties, A, B, and C need to communicate with ACE via email and receive their confirmation. In the ensuing days, the involved parties need to come to the ACE offices in order to sort out paperwork and related processes, and then they are allowed to make official announcements regarding the news. If the new team and their new player decides to use existing contracts, then they perform a trade of contracts while at ACE. If they decide to sign a new contract, then the new contract will be signed and backup files stored with ACE. In the case later on that a party fails to uphold their end of a contract, then ACE will be abe to lay penalties according to existing policies. It is easy to see from all this, that the ACE Alliance has a certain amount of influence watching over transfers and related activities, helping clubs and players maintain their rights in the process. The current scene seems to allow both player trades as well as straight cash purchases of transfer rights, akin to something of a mix between what is commonly seen in the sports of basketball and soccer (football). If a new club is willing to spend millions and buy out an entire team, what is to stop them? Additionally, it was not hard to see during this reshuffle from the weibo posts of various team managers that, despite this structure, things were still very chaotic. We hope that ACE can make further improvements to the details and processes. The Dota 2 Super League (DSL) begins on May 10 in Shanghai, with 10 powerhouse teams congregating for a showdown via group stages, playoffs, elimination, and finals, for the chance at over 1 million RMB in prize money. Group A sees a relatively larger gap in ability. Apart from it being expected that iG will top the group, all the other spots are up for grabs amongst the other teams. 1. iG: TI2 champions, widely recognized as the best team in the world currently, they’ve successfully dominated just about every major event in 2012 and 2013. Every position in the team is played at a world-class level. For iG, the only question is whether anyone else has the power in them to take them down, and challenge them for first in the group. 2. LGD.cn: Third place at TI2, managed to defeat iG in G-1. However, they’ve undergone a series of changes lately, with LongDD leaving not long after joining, which highlights an element of instability within LGD.cn. Can LGD.cn show us a new face along with their recent changes? 3. Vici Gaming: A new team not long formed, yet the presence in their team of one of the three big carries of yesteryear, ZSMJ, brings a major talking point for viewers and competitors alike. Can VG achieve a top 3 finish in this group with such time-honored talent? 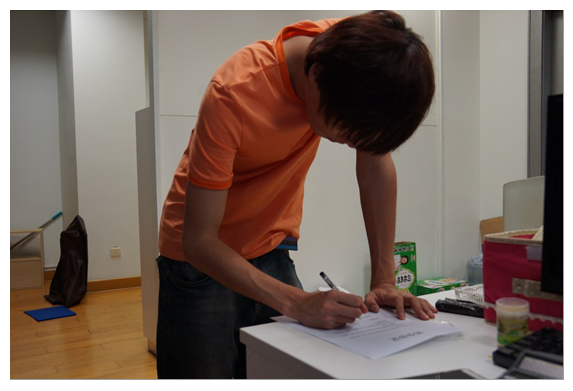 And as a former LGD player, ZSMJ, who had once brought so much glory to his old team, will be looking to prove himself against them now. By his side, newcomer Cty is another point of interest to look forward to. 4. TongFu: A team that seems to match the level of their opponents, strong when facing strong, weak when facing weak, they possess Hao and Mu, two top tier Chinese players, yet have been in terrible form recently. After switching out two players, can they re-discover their touch? 5. ForLove: One of the best of the second tier Chinese teams, ForLove has some history behind them, yet have always stuttered a bit when it came to results. They have fairly plentiful experience, yet haven’t found their own rhythm in making a breakthrough somewhere. Similar to TongFu, they’re appearing here after making rostre changes, and whether the changes will make the difference for them remains to be seen. Group B sees a much closer spread in terms of team ability. Just who advances and who falls might come unpredictably. New teams in here may have new styles of play, DK itches to redeem themselves, and interest will be high in seeing whether LGD.int and Orange can break through in the Chinese scene. 2. LGD.int: Runners up in the G-League 2012 Season 2, a team formed of players from five different countries. They train together with LGD.cn in Hangzhou, combining the light grace of European Dota with the steadiness of Chinese Dota, and this gives them more than enough to compete in group b. They’re the ‘foreigners’ Chinese team’. 3. Orange: The only true foreign team present here, representing the top of SEA Dota. Their star player and the heart of the team, Mushi, has been known for a long time with his stylish play and flashy antics. In the recent G-1 qualifiers, he led Orange to next offline stage, proving that they can stand amongst the best that China has to offer. As the sole truly non-Chinese team, can they make it all the way? 4. RisingStars: Another new team, formed recently by former members of DT.Club and Noah’s Ark. They’ve got undeniable personal and team skill, but are lacking in match experience and adaptability. Their style tends to be over-aggressive, so a matchup with them in it is guaranteed to be exciting to watch. They also often bring out innovative tactics, and are a very imaginative team. 5. RattleSnake: A new team of old players, all of their members have rich experience. Their captain, Luo, is recognized as a master of strategy, and often brings unexpected picks and tactics. This team has been recognized as having great dark horse potential in the group. We’ve learned from Rstars manager Cc that they’ve switched out PrettyHaw recently. 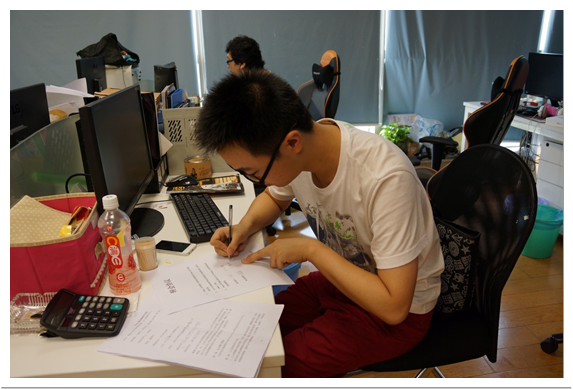 In his place, they’ve added xiaotuji, who formerly was of Noah’s Ark, and had recently been a part of team Greedy.